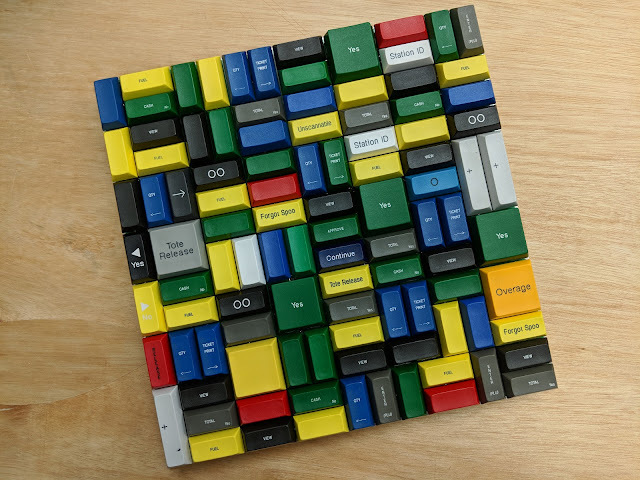 225 key macropad covered with POS keycaps. Most are DSA some are DCS. 2x1, 2x2 and 3x1 keycaps. Mostly DSA profile. 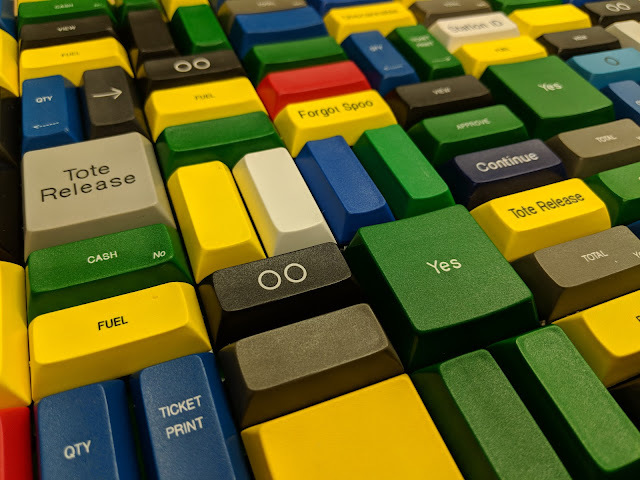 The "Yes" keycap is DCS. 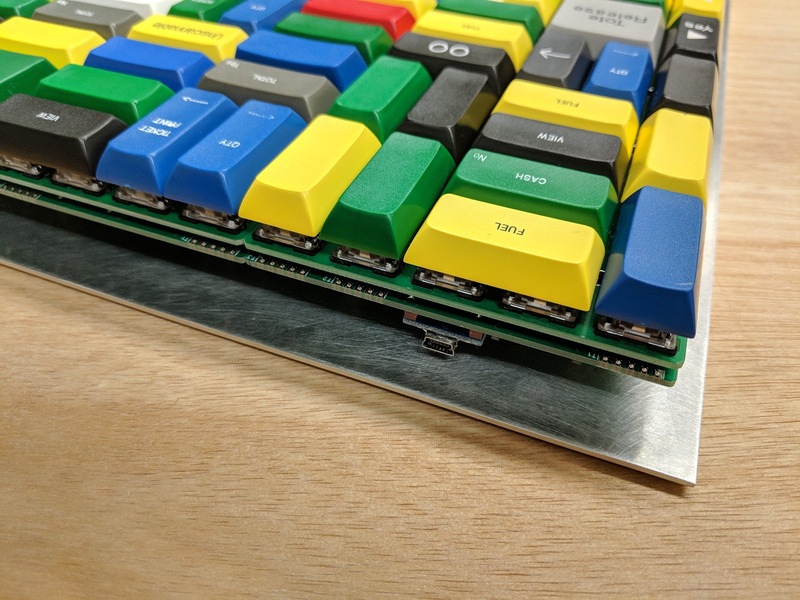 Showing the base of the keyboard and the PCB and plate layers. The Maple Mini sticks out the top.